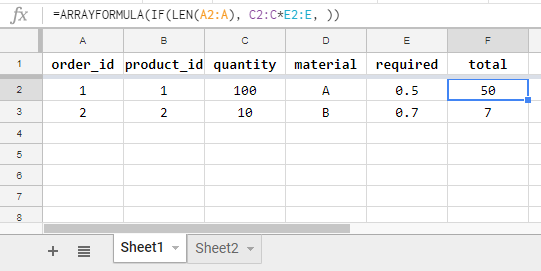 *It should be LEFT JOIN, NOT INNER JOIN simply because all orders should be shown, even if the info in product material description is not yet input. An order cannot be 'forgotten' because inner join is used. Not the answer you're looking for? 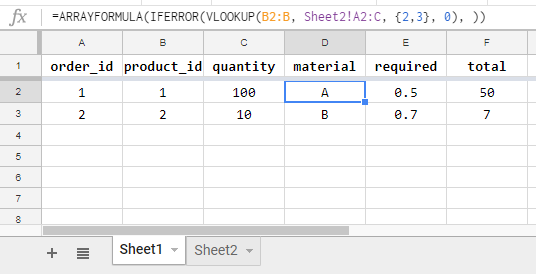 Browse other questions tagged google-sheets formulas google-sheets-query google-sheets-arrayformula google-sheets-custom-function or ask your own question. 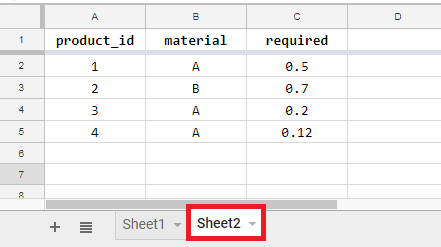 How to make SQL CROSS JOIN of two tables with Google Spreadsheet?